With 2014 designated European Year of the Brain, we thought we’d shed light on an innovative, award-winning young company in Malta that’s been quietly working on ground-breaking, neurotechnology research and products. 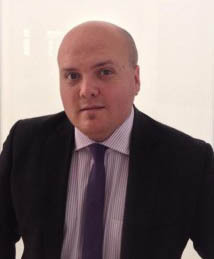 AAT Research was set up in 2012 by neuroscientist Dr Adrian Attard Trevisan. Its flagship product is the MENTe headband, a CE Medical and FDA-registered medical device that helps people diagnosed with Autism Spectrum Disorder. The company also conducts neuromarketing research for top global brands including Cotton Inc. and GFI. AAT Research’s work comes at an auspicious time: not only is 2014 EU Year of the Brain, but all things neuro-related are making waves internationally. January’s ‘Wired’ magazine leads with ‘wearable technology‘, many applications of which are driven by or linked to the brain’s activity. Somewhere on the Marsa Industrial Estate, thousands of miles from Silicon Valley, similar cutting-edge, neuro-technology products are being developed. We met Dr Attard Trevisan to ask about the strands of his latest research and its impact, as well as about the future of his young company. How did the idea of researching and developing products in the field of autism come about? Since around the age of fourteen, I was more intrigued by scientific modules at school than by other subjects. I moved to the UK at age 18 to pursue studies in audio engineering; I have always had a deep fascination for the mechanics of the human body, especially in the mysteries within the mind. Following my studies, mainly in the multidisciplinary area of bio-medical engineering, I managed to get into medical school on a research doctorate in the emerging area of neuro-physiology. This enabled me to combine my interest in science with medicine and conduct research at the intersection of audio and neurology. It was an opportunity to dive into what were more or less uncharted research areas at that time. My interest in autism as a field of research kicked off when I was chosen to work in France on a project coordinated by the European Space Agency and Orange Labs – the first time I was actively encouraged to explore linkages between Audio and EEG. When I was a student in Brittany, I stayed with a family whose son had Asperger’s; a variant of ASD. I must have spent many hours observing the child, trying to understand his behaviour. When I say observing, I don’t mean I was some dispassionate scientist conducting an experiment. I really wanted to see if I could help the boy and his family. This is when I started to understand how neurofeedback could be key to allowing my friends’ son, and others like him, to focus and better engage with the world. That’s how MENTe started. How does MENTe help provide relief to autistic people and their families? Firstly, MENTe is an accurate and portable EEG device that can be used easily by people within the comfort of their home. Secondly, it provides an affordable alternative to neuro-related medical and research applications in that it offers a standardised therapeutic treatment based on Sonified Neurofeedback. In layman’s terms, we help individuals suffering from a wide range of neurological conditions, including Autism Spectrum Disorder. The headband has four very sensitive EEG electrodes (a fifth is also placed as a reference) that pick up minute brainwaves (Alpha, Beta, Delta and Theta waves), emitted by the brain. The headband is connected to the PC/laptop or smartphone/tablet via a Wi-Fi connection, allowing the user to go about his/her daily routines without any major interruptions. The brainwaves are transmitted to the PC/laptop or smartphone/tablet and our software interprets the waves, processes them and converts them into musical sounds. When the interpretation process is presented back to the user as an altered musical representation in a loop form, it can help to level the brainwaves as a structured type of therapy. It is these sound waves that in fact act as an aid to regulate the autistic child’s brainwave activity. If I had to use a layman’s analogy, our software reads the user’s brain patterns and then identifies ways in which the brain’s performance can be exercised and challenged: similar to the way physical exercise and weight lifting develop muscle strength or jogging improves cardiovascular fitness. Through consistent use, this ‘training’ naturally empowers the brain’s natural ability to change and effortlessly develop increased control and strength. Our research shows that the benefits for children who are regularly using MENTe include longer timeframes for “actual learning”, longer attention spans, induced relaxation and improved communication skills. 2014 is designated EU Year of the Brain. A former president of the Commission said: “Brain disorders will pose a serious and growing burden on healthcare systems in Europe. It is in the best interest of the citizens to prepare for it now.” Why it is that we are focusing now more than ever on the power of brain technologies to drive and shape so many areas of human development – and not just those related to medical sciences? It is no mystery that even though we have been able to explore the furthest reaches of space, and developed unrivaled artificial structures, we still lack knowledge on the human brain, intricate details on how it truly functions and what it is capable of. Essentially, the brain is the controlling organism of the whole body; exploiting its potential would definitely give us a deeper understanding of how the human body functions, thereby giving us the edge both technologically and medically. In what ways will AAT Research be seeking to make the most of the EU’s year of the brain? We intend to showcase both our medical devices and neuromarketing projects at major events in Europe and Asia. We are already regular participants at medical fairs such as RehaCare and Medica in Dusseldorf. A project with the University of Milan is helping us understand the mechanism for pre-empting an epileptic fit by about 45 minutes, while a project with the University of Malta will allow us to explore the brain from different perspectives and better tackle epilepsy through a neuro-physiology perspective. You’re driving a research and innovation firm from Malta which is a small and somewhat isolated base to witness the pioneering of world-class and internationally important research. For example, Malta has no ‘cluster effect’ of a research park full of like-minded companies / start-ups etc. Can you tell us about any highs and lows of operating from Malta? We are trying to grow through international partnerships and global distribution networks. Yes, Malta has all the limitations of a small, bounded economy, but there are also some major advantages. It is an ideal place for technology trials within a controlled yet complex environment. With a high level educational backbone, positive government support schemes and political and economic stability, Malta does help companies like ours to build solid foundations to pioneer its products internationally. We do need to constantly project ourselves internationally in what is now a burgeoning industry. That does of course mean we have high costs when it comes to logistics and developing markets overseas. I guess we’re resilient people – as can be seen in our recent expansion into the Gulf. As it’s the start of a new year, tell us about AAT’s immediate plans in 2014 and where you hope to see the firm and MENTe in a year’s time. Our intention is to distribute MENTe globally. We are developing a global distribution network that currently includes the Gulf Region and China. In 2014, we will be targeting some EU countries. We are determined to provide devices that improve the quality of lives of families with autistic children. Our ongoing research is also directly reflected in the ongoing upgrade of our products and produce ground-breaking innovations. The first version of the MENTe headband was released in 2012 and we are launching a radically updated version of MENTe early this year. I’m excited about our Epilepsy Monitoring System which also uses MENTe technology to gather data. This EEG monitor is able to detect seizures prior to their occurrence and therefore prepare the patient and his/her next of kin for the seizure. Using Bluetooth technology, an alarm signal can also be sent via a smart phone to a relative. This device could literally save lives – think of someone who is driving on a motorway and who is alerted to a probably seizure 45 minutes before its occurrence. Apart from serving as an alarm system, the monitor also keeps track of the frequency of seizures and their intensity which is helpful for medical supervision. We are collaborating on this project with the Universita’ degli Studi di Milano. The reality is that the majority of our clients are based overseas, yet our MENTe manufacturing plant is in Malta and we continue to support our neuromarketing clients in the US using our Marsa labs. We strongly believe that we can continue to deliver world-class solutions from our small native country base. Yes, you do need to have staying power sometimes be single-minded about reaching your objectives. I’m lucky that I have some great people in our team.